Forest Gumption | The Kids Beat | Kids VT - small people, big ideas! More than 300 kids reported for duty last month as part of the Green Mountain National Forest's Junior Snow Ranger program. They learned about the physics of avalanches, how to dress for cold weather and the distinguishing features of a stellar dendrite snowflake crystal. For the event's rollout, middle-school-age kids worked with National Forest staff at Sugarbush, Mount Snow, Bromley Mountain and the Rikert Nordic Center in Ripton. Junior Ranger wannabes who didn't make February's events can download the workbook and mail in their completed form to receive their badge, bandana and card. There's even an oath. Very cool. 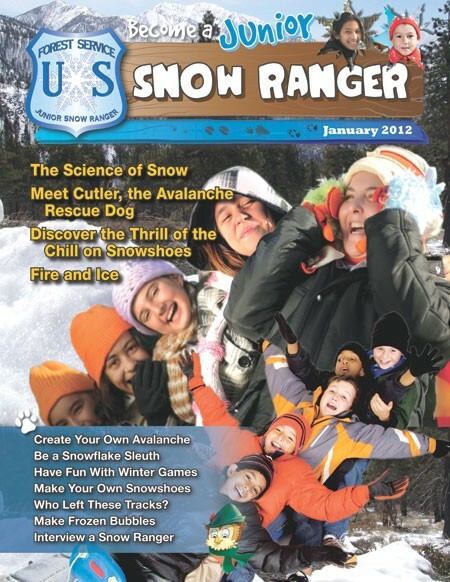 Junior Snow Ranger: Copies of the workbook are available at the Green Mountain National Forest offices in Middlebury, Manchester, Rochester and Rutland. Or download the workbook from: www.fs.fed.us/r9/forests/white_mountain/conservationed. Info, 747-6760.